Like the title says (providing you have time for post-production), it is sensible to do Run&Gun Shooting with Fast Shutter, then Deshake and Add Motion Blur in Post. For a bumpy aircraft flight, I shot with 1/50 second shutter and stabilized it in post. The inevitable result, though more pleasing than the non-deshaken footage, exhibited shimmering effects due to motion blur on the various objects in the frame. The shimmering could of course have been vastly reduced by shooting with a much faster shutter-speed. One reason I didn’t was to avoid the staccato “Saving Private Ryan” look. However I now realize that a convincing motion blur can (at least in theory, until I test it) be artificially introduced in post, following the de-shaking. (Some degree of risk: Not perfect, but the imperfections might not necessarily be noticeable, or at least they may be less so than if not following this overall path). RE:Vision Effects’ plug-in ReelSmart Motion Blur (RSMB). Convenient, as it is a plug in for Premiere as well as After Effects (and various NLES/Tools). After Effects’ Time Warp plugin (even if not warping time) has a Motion Blur function. Explains how to achieve this. Time Warp works, but painfully-slowly. Sometimes they get fooled when a motion-vector suddenly changes, leading to odd artefacts, though possibly not too noticeable in a changing/moving image. Shoot with elbows on a bean-bag. If camera has rolling-shutter effect, then some cameras reduce this more when you increase the framerate than when you decrease the shutter angle by equivalent amount. I shot a flight in an aeroplane (a Tristar) as a passenger that happened to have a camera (A Sony Z1) as opposed to a proper production. I used the Z1 because it had a (small) CCD sensor, thereby avoiding the rolling-shutter effect associated with most (not all) CMOS-sensor cameras. But of course, once I got back to the editing, grander plans (belatedly) came to mind: I would string some kind of video together as an entertaining souvenir for the (transient) passengers, staff (one of whom was changing his job) and of course myself. I found some “little stories”, a “little drama”, a “celebratory ending”, and royalty-free music that was great accompaniment. One of the first jobs was to stabilize it. For that I used Gunnar Thalin’s Deshaker plugin for VirtualDub. Following this, the pictures were smooth and drifting like I wanted them to be, but marred by occasional shimmering of individual objects (like houses below) that had motion-blurred at the sensor stage, prior to deshaking. If only I had used a faster shutter… but then it would have got that staccato look I didn’t want. Or would it? It occurred to me that some kind of motion-estimation-based post production technique might be able to substitute motion blur (at a stage after the deshaking). – I get some blurring/shimmering in frames where the camera shakes the most. What you see is probably motion blur, i.e. motion occuring within a frame. This is present in the source video too, but it doesn’t become distracting until Deshaker has removed the motion between the frames. One way to add motion-blur in post is RE:Vision Effects’ plug-in ReelSmart Motion Blur (RSMB). This plug-in, designed mainly for 3D graphics artists who need to add blur to their rendered objects, tracks vectors frame-to-frame and generates the appropriate blurs and streaks to mimic actual motion blur. It can be used in two modes: RSMB (basic) and RSMBPro (advanced). I have only used the basic mode because it has been satisfactory for my needs. Motion Sensitivity: adjusts how much the warping reacts to motion. I’ve found that reducing the sensitivity helps reduce warping artifacts in scenes with intense motion, but in my tests it handled almost all motion well when set at .5 or 50%. Is it flawless? No. If you freeze-frame some shots, you can see warping where the foreground and background mesh in weird ways. But these artifacts are hardly noticeable when played back a regular speed. The main caveat to using this plug-in is increased render time. So I would recommend applying it as a final step before rendering for output. But don’t apply it to all your clips as a compound clip, or even worse as a rendered movie file, because then it will try to warp your different shots together, resulting in some very strange artifacts. we are planning to shoot from the bed of a pickup truck. I am aware that the rental of either a gyro or steadicam rig would be ideal, but the budget is limited and the rental situation here in Idaho is less than ideal. So instead we have rigged a kind of “ghetto fabbed” large cinesadle for our tripod to be loosely ratchet strapped on top of in the truck bed (to reduce vibration), then we will stabilize in CS6 warp stabilizer. What do you guys think of 4k 24 VS 3k 48? Currently we have been using a shutter of 192 for 24 and a shutter of 384 for 48, any suggestions here? your shutter speeds are a bit high. You might get the Private Ryan strobing effect. Have you run any tests? We have done some testing at 4k, not yet at 3k. What would you think of as an ideal shutter? The problem we have been running into is the motion blur caused by movement/vibration, causing the shots at a more standard shutter speed to look much softer. We are doing a similar shoot, except shooting out the front window, ie, driver’s POV on some rough roads. We built a bungee rig with straps through the windows and the camera hanging for the bungees, we tried a steadycam arm on a combo shorty stand, and other goofy looking gadgets. $1200 a week i think we were quoted. Maybe we can shoot some other fun stuff the rest of the week! I guess I would err on the side of fast shutters than slow, the stabilize will look better with less motion blur. In our tests, it messed up on the sharp bumps where there was a lot of movement between frames, the motion blur made it a little goofy looking. The RE:Vision plugin works pretty good in most cases – I agree that it’s better to sacrifice motion blur if there’s ANY plan for post stabilization, and just fake it on the stabilized footage. 48fps is only gonna give you the effect of slower motorcycles when played back at 24, so I would say shoot at 4k to give the stabilization/post blurring process more data to work with (and a wider shot w/less of a cropped sensor). Also, use a lens w/IS. All that said, I got some great shots of some electric motorcycles six years ago from a truck bed on a dirt road using a steadicam… (actually a cheap rental Glidecam). It’s easy to operate since you’re just sitting/kneeling there, so you don’t need to hire an experienced operator. Increase framerate and cushion the camera with bungies or lock the camera hard to the car. Then remove frames in post and stabilize. 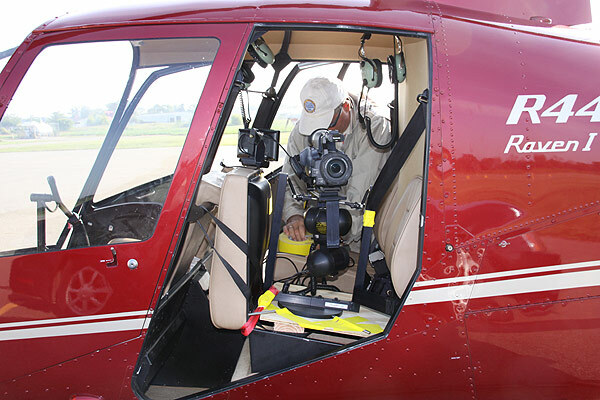 the upped framrate will get you around rolling shutter in a way the shutter will not. So better to shoot 48fps 360 than 24fps 180.? First, partially deflate the tires on the pickup – especially the rear wheels. That will remove most of the vibration. Next, keep the camera lower to the bed – the higher you are, the more “sway” introduced. If you have ever tried to shoot from the back of a truck standing up, you know that stability is lacking – it will fight you. Mount a high hat in the middle of a piece of plywood. Drill a series of holes at the edge of the plywood. Install numerous high strength rubber straps / cords between the rail holes and plywood holes. Result: a floating camera platform. The rubber straps will absorb a lot of the vibration. Downside is it tracks with the level of the bed – so as the truck takes a corner, the platform tilts. Then again, a tripod will do the same thing. So, another approach is to construct a floating mount suspended from an overhead rail. With a bit of practice, you can keep the horizon level in a turn. Again, heavy duty rubber to take the load and absorb vibration. 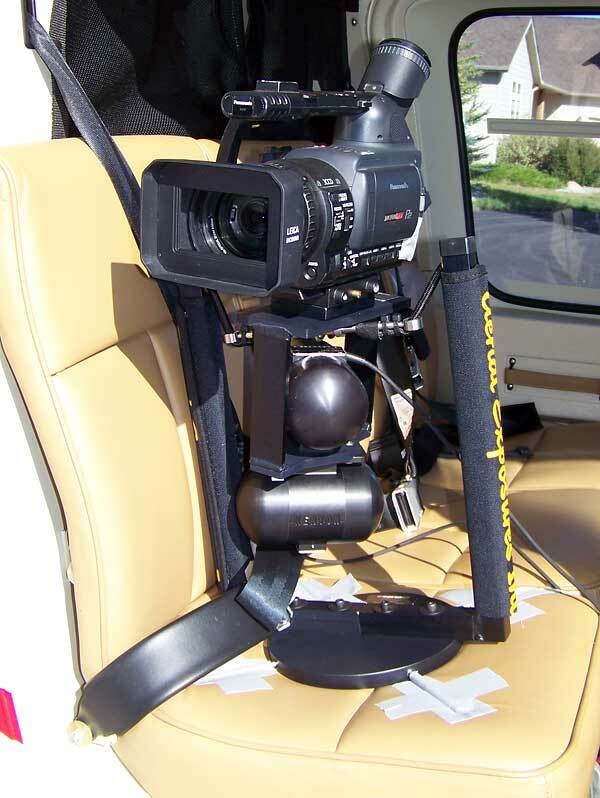 If you are able to get a Steadicam or Tyler mount w/gyro, best place to position yourself is sitting down on the tailgate. Using a beanbag under a tripod with loose tie down straps, stabilized in Premiere CS6. You are currently browsing the archives for the motion blur category.